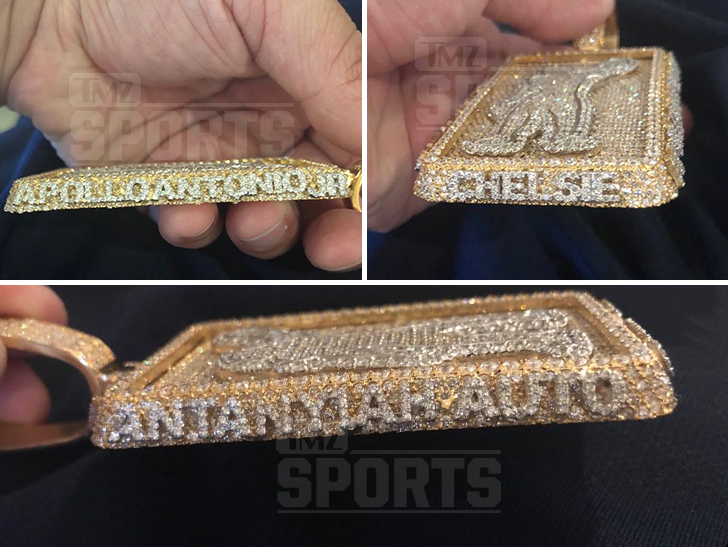 Antonio Brown Boomin' Birthday Bling ... Worth $200K!!! 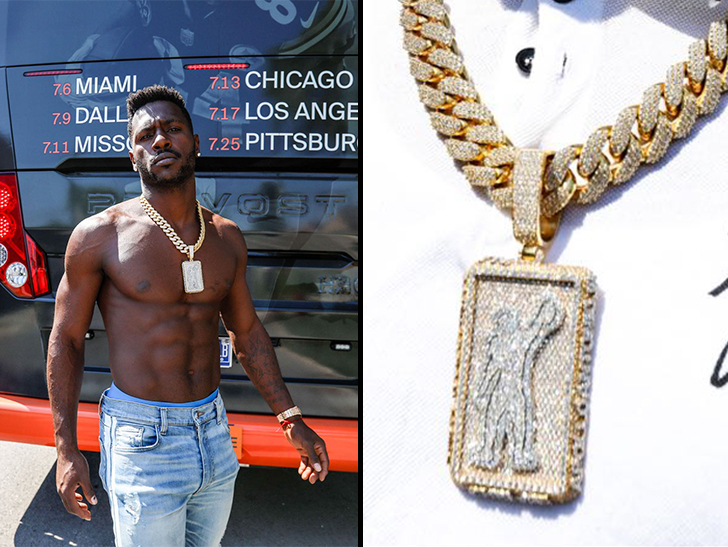 Antonio Brown got himself one helluva birthday present this year ... copping an insane diamond chain made with A KILO OF GOLD ... and it's got an awesome meaning behind it. TMZ Sports has learned ... the Steelers superstar hit up Gabriel the Jeweler -- the go-to guy for pretty much every NFLer -- for the piece featuring his logo made of 100 handpicked VS2 diamonds. But if you look closely ... AB's fiancee and children's names are featured along the outside of the plate ... a special request Brown made to show love for his family. Gabe tells us Brown -- whose birthday was July 10 -- was totally stoked with the results and has been rockin' it everywhere. And, we know what you're wondering ... we're told the piece is worth around $200K!! Before you freak out, dude's in the middle of a 4-year, $68 million contract. 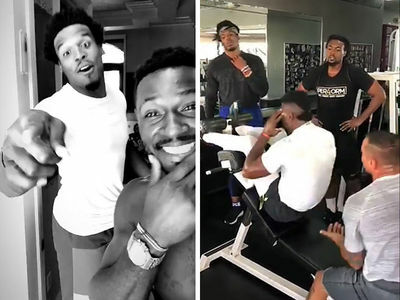 So ... just a drop in the bucket for AB.